This recipe is a family favorite that's great for a holiday brunch or breakfast for friends and family any time of the year. It makes a hearty breakfast. In a shallow bowl, whisk together eggs, eggnog, sugar, cinnamon, nutmeg, salt and extract. Heat one tablespoon bacon grease/butter/oil on a griddle or skillet over medium-high heat. Meanwhile dip bread, one slice at a time, into egg mixture, until saturated, turning once. Place on hot griddle/skillet and cook until golden brown on both sides, about 2 to 3 minutes per side. Repeat for rest of bread adding more grease/butter/oil as needed. Serve immediately, or keep warm in 300 degree F oven while cooking remaining bread. Dust with confectioners' sugar, if desired. 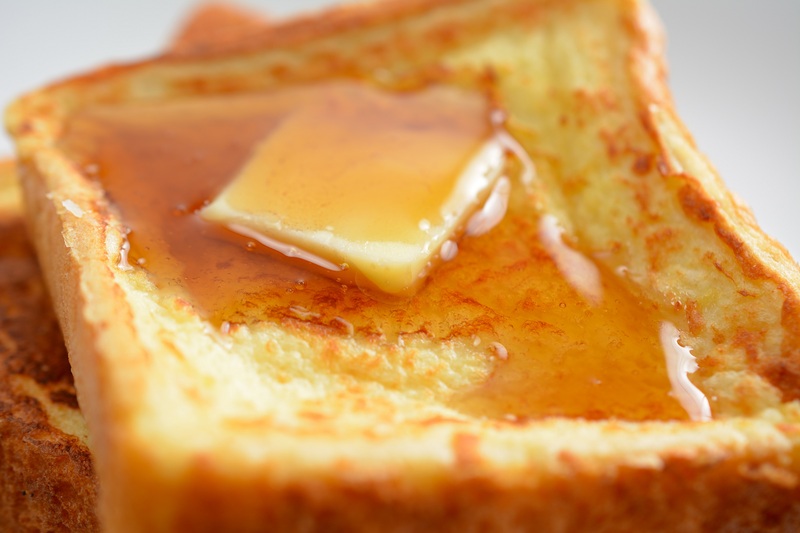 Serve with warmed syrup. Makes 3 to 6 servings..